Republican Brian Kemp has claimed victory in the Georgia governor’s race although it has not been officially called. Kemp’s team says there are not enough uncounted votes to offset his lead over Democrat Stacey Abrams. Abrams has not conceded, plans to file litigation so every vote is counted and hopes for a runoff that would take place on Dec. 4. Democrat Stacey Abrams’s team announced she’s filing litigation in a Georgia county, at a Thursday news conference after Georgia Republican Brian Kemp claimed victory in the governor’s race Wednesday. Abrams’s team said they are filing litigation in Dougherty County Thursday after reports that the county’s absentee ballots were not delivered to voters time or at all, according to The Atlanta Journal-Constitution. The team plans to file more litigation in the coming days. The secretary of state’s office released an unofficial list of the 21,358 provisional ballots cast in each Georgia county about an hour after Abrams’s press conference, reported Greg Bluestein of The AJC. “These are at the center of [Stacey Abrams’s] push for a runoff,” Bluestein wrote Thursday. Abrams’s team argued that Kemp’s lead of roughly 25,000 votes was not enough to grant him automatic victory because they claim 25,000 absentee and provisional ballots have not yet been counted. Much of Abrams’s campaign rhetoric has centered on accusing Kemp of suppressing the vote because during the race he served as Georgia secretary of state, a position that oversees elections. Kemp has a lead over Abrams, taking 50.3 percent of the vote with all precincts reporting, according to The Associated Press Thursday. Abrams received 48.7 percent of the vote, and Libertarian Ted Metz received 0.9 percent. Kemp needs to maintain more than 50 percent of the vote to avoid a runoff before results are certified on Nov. 13 , reported CNN. “He owns this, and he owes the people of Georgia an explanation,” she said Thursday. Abrams did not speak at Thursday’s press conference. Her team also emphasized a claim that ballots from Georgia residents serving overseas in the military had not yet been counted, despite the perception that members of the military are more likely to vote Republican. 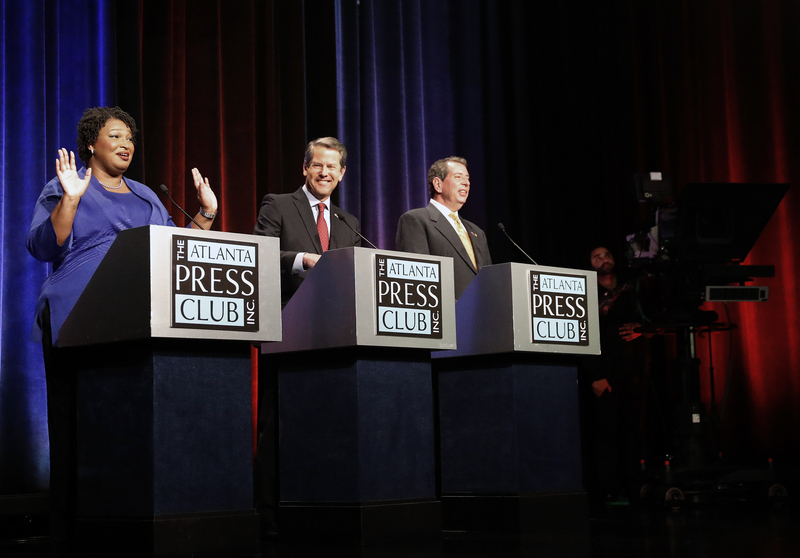 Kemp declared victory over Abrams Wednesday before the race was officially called. Kemp announced he was officially stepping down as Georgia secretary of state Thursday, reported WSB Atlanta. Abrams has refused to concede. Abrams and her supporters hoped that Kemp had not garnered enough votes, which would result in a runoff on Dec. 4, according to Fortune. Kemp’s office announced Sunday that it opened an investigation into the Georgia Democratic Party for allegedly attempting to hack the state’s voter registration system. “While we cannot comment on the specifics of an ongoing investigation, I can confirm that the Democratic Party of Georgia is under investigation for possible cyber-crimes,” a spokeswoman for the secretary of state, Candice Broce, said in a statement. Abrams called the investigation “a desperate attempt on the part of my opponent to distract people from the fact that two different federal judges found him derelict in his duties,” Abrams said Sunday, according to CNN. 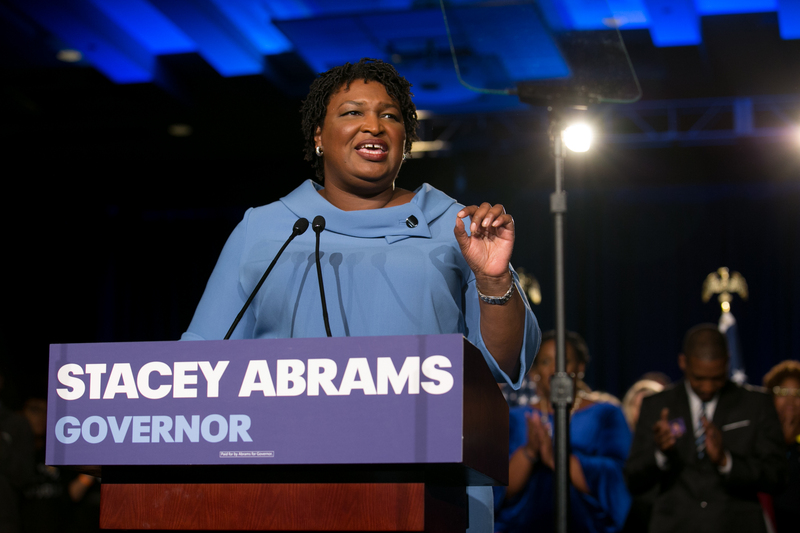 Abrams could become the first black female governor in the U.S. if she wins and could be Georgia’s first Democratic governor since 2003. Georgia has a long history of Democratic governors including former President Jimmy Carter. Georgia’s last Democratic governor was Roy Barnes, who served from 1999 to 2003.